What is it? 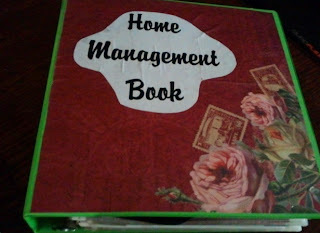 It is a binder that contains all your important information and schedules to make your house run a little bit smoother. It is not a tiny dayrunner. This book has everything. The box is portable and keeps you focused. Where do I keep it? In a convenient place for quick reference. Why do I want one? Make your life easier and more efficient. I forget why I stand up much less why I went into a room. If I don't have a written plan it's not going to get done. You might not have that problem but it will still make more efficient use of your time. When do I use it? All the time. How do I make one? Follow along through this series and learn how to make your own. There are so many ways to make one, this one works for me. It saves so me so much time because I don’t have to run around looking for numbers, or dates or whatever else I might need to know. I will go through each section and help you set it up. At the same time I will updating and changing mine around. If there is a section you would like to see but I don't have it listed let me know and I'll see what I can come up with for you. If you have children at home there are probably many more options such as: Chores, homework, sitters, etc. You know what your family needs are so just take a while to think about the information that you are constantly hunting down and include it in the book. 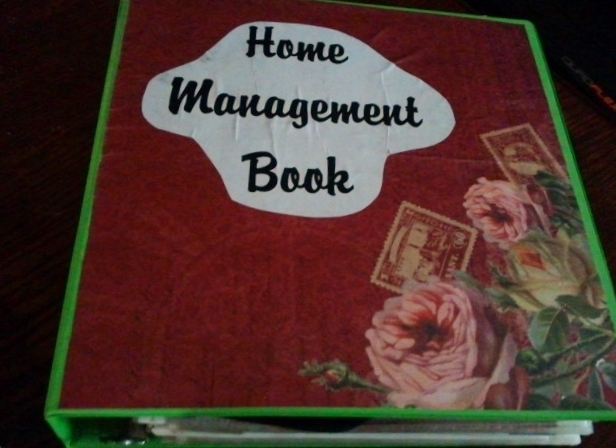 Because they're expandable, household management books become as distinctive as the family that uses them. Daily Schedule: Changes often but I’ll tell you how to deal with that. Budget: Make one that works best for you. Family Info: One section for each family member including personal and medical information. Misc Lists: Christmas Card, birthday gift ideas, decorating, etc. Just lists. Pets: Should be written the same as other family members. 3-Ring Binder (Mine is currently in a 2 ½ inch binder and I’m switching to a 5”. ) Don't get a zippered binder or you will spend the day opening and closing the book. 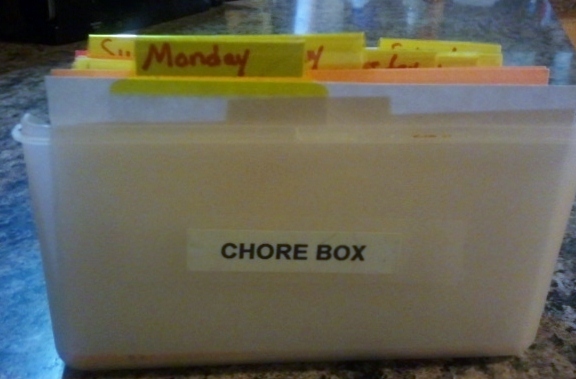 Small Recipe box and 3x5 cards - I use colored cards and will explain this more later also. You might want to consider creating special binders for different things you might not use daily but want to keep the information in one location. I'm afraid to hit publish! I know there is something I should be saying here but I'm missing! Leave your questions in the comments section and I will answer as soon as I can.